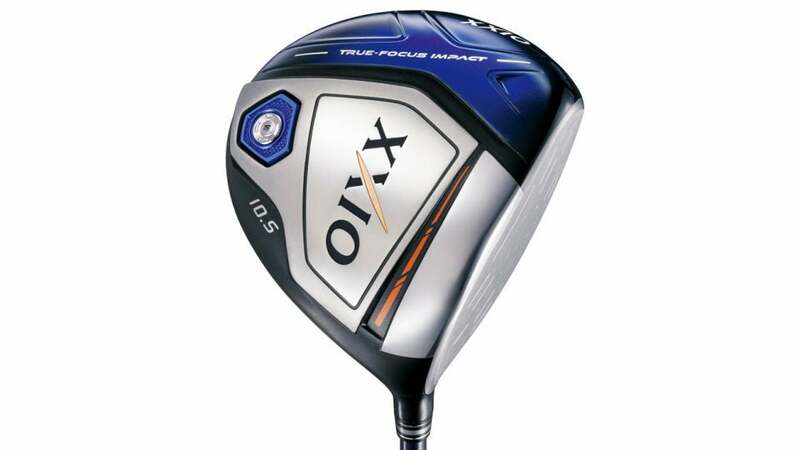 The new XXIO X driver. SPECS: 8.5°, 9.5°, 10.5° and 11.5° with proprietary MP1000 graphite shaft. RECOMMENDATION: Mid- to high-handicappers who need more clubhead speed and distance with less stress during the swing. KEY TECHNOLOGIES: Hi-energy impact clubhead design with optimized COR area on the face for faster ball speed; Lightweight, low-swing MOI design to enhance clubhead speed; Smart Impact shaft designed to reduce stress on the golfer's body and improve impact; high-density rear weight to deepen the CG location and boost launch. The combination of low-swing MOI, lightweight design and proprietary shaft design combine to make the X Driver exceptionally easy to swing for a wide variety of players. It also increases the likelihood of center contact. The X is a concept as much as it is a driver: It gives speed-challenged players the chance to get the ball farther down the fairway without adding undue stress to their body. "An innovative, easy-to-hit design that produces ample ball speed and forgiveness with the desired, high-trajectory flight. Mid-spin rates are beneficial to moderate-speed swingers."